Exaggerated tall crown wide brim fabric hat from Mr John Classics New York Paris. 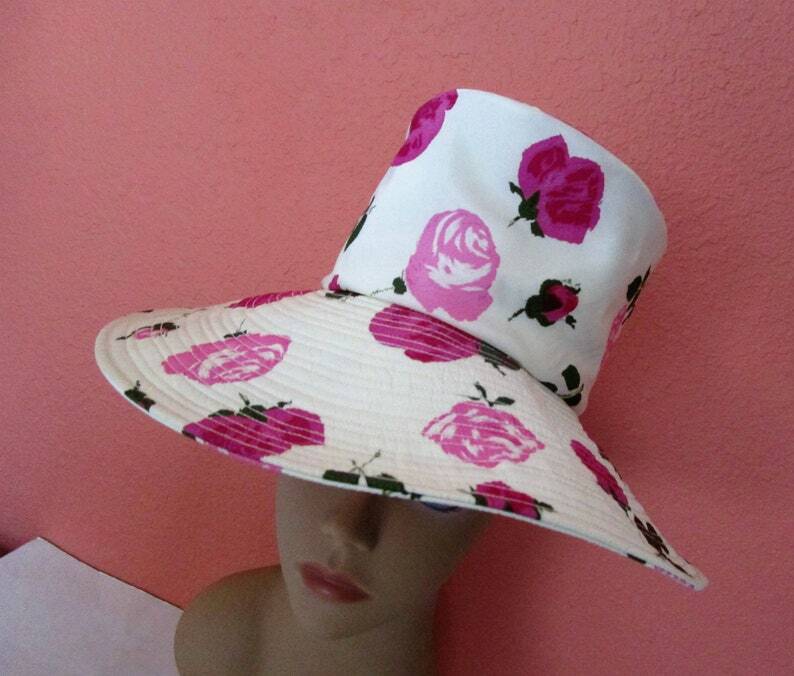 Made from white silk taffeta fabric with gorgeous pink and fuchsia scattered roses. 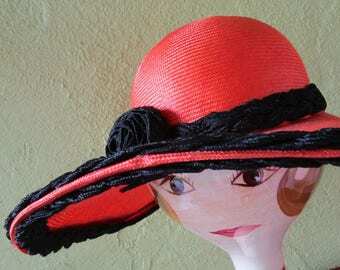 Asymmetric multi trapunto stitched wide brim. Interesting construction inside. The tall crown is held up with 5 plastic boning stays. I like it squished down a bit. Perfect for weddings, church, sun, derby, afternoon tea. Condition: Very good vintage condition, never worn, tags still attached. slightest wear inside band, slightest misshape, See photos. Size: Sits up high on head. Measures 21-3/4" inside circumference hot pink fuchsia grosgrain ribbon, 15" inside diameter side to side , 4-1/2" brim width at front, 2" brim width at back, 4-3/4" to 5-1/4"" tall crown height.